Google offers a feature to measure the land area, perimeter and distance between points with satellite images in Google Map. The measuring tool provided in Google Map would help you calculate the area or the perimeter of land or distance between two points, in Google Map. This feature is not directly available in Google Maps page. 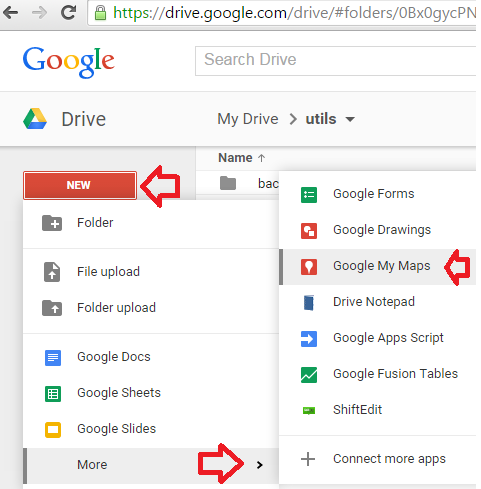 In order to use this feature, you need to login to drive.google.com and click on the “New” button on your left. In the menu appeared click on the “more” section in Menu, and then click on the “Google My Maps” item. 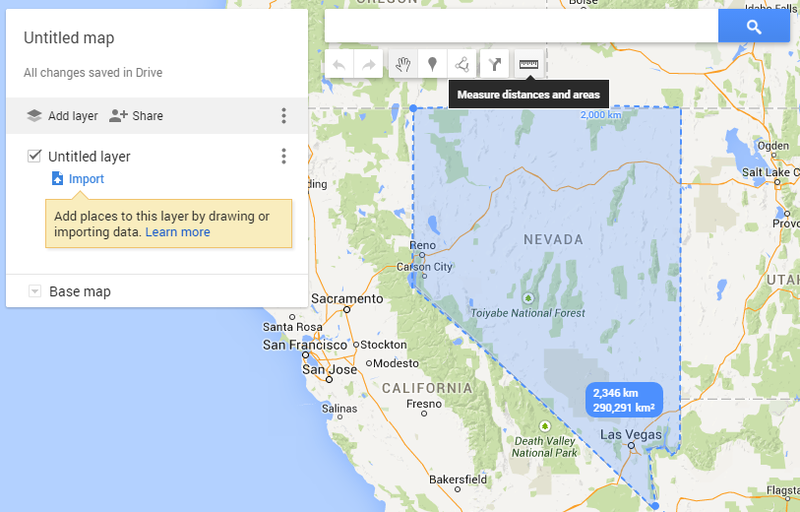 When you get a new Google My Map document page, click on the measuring tool. Now you can use the mouse pointer for measuring the area, perimeter of any land or property, as well as distance between two points in Google Map. 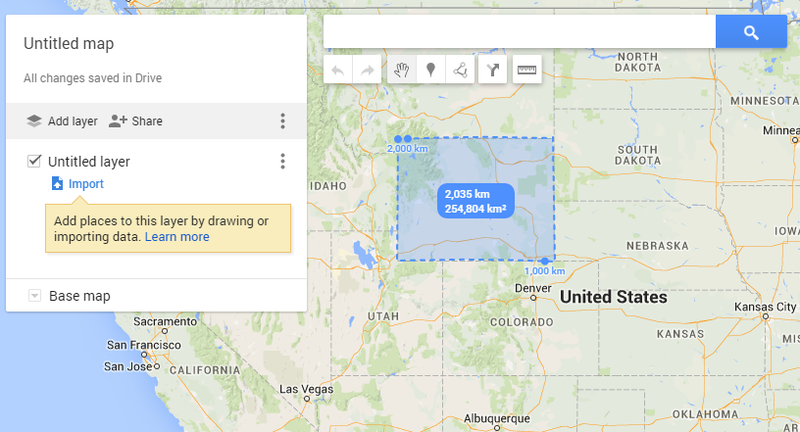 I have tried to measure the area of the State of Wyoming, its almost a square region and its pretty easy to measure!. Then I give it a try on measuring the State of Nevada, the pic is shown below. 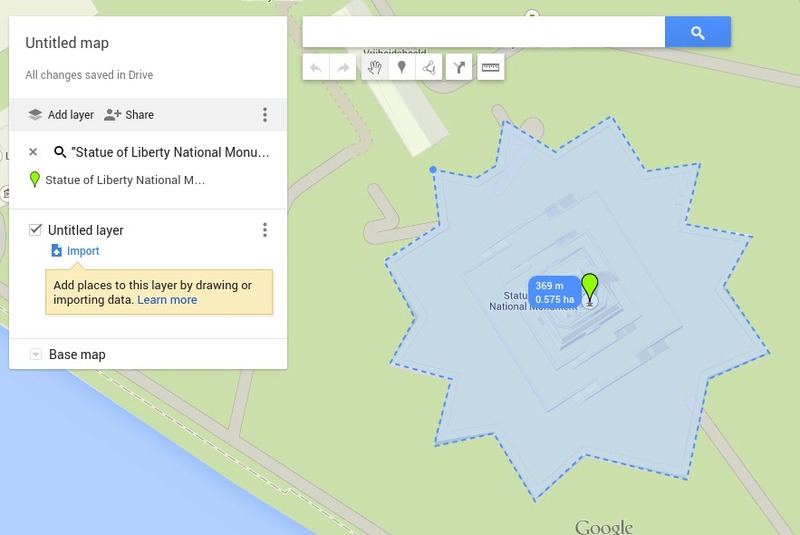 Finally I thought I should try to measure the area and perimeter of the Statue of Liberty National Monument. The pic capturing perimeter and area measured by Google Map is given below. These approaches are only for information and experiments, the values of area, perimeter and distance purely depends on how Google Map is calculating them.